Preheat the oven to 180ºC. Mix olive oil, lemon juice, garlic and honey. Season the lamb with salt and pepper. Place lamb in a large oven bag. Pour lemon and honey mixture over lamb. Tightly tie the end and cut 3 slashes in the top of the bag. 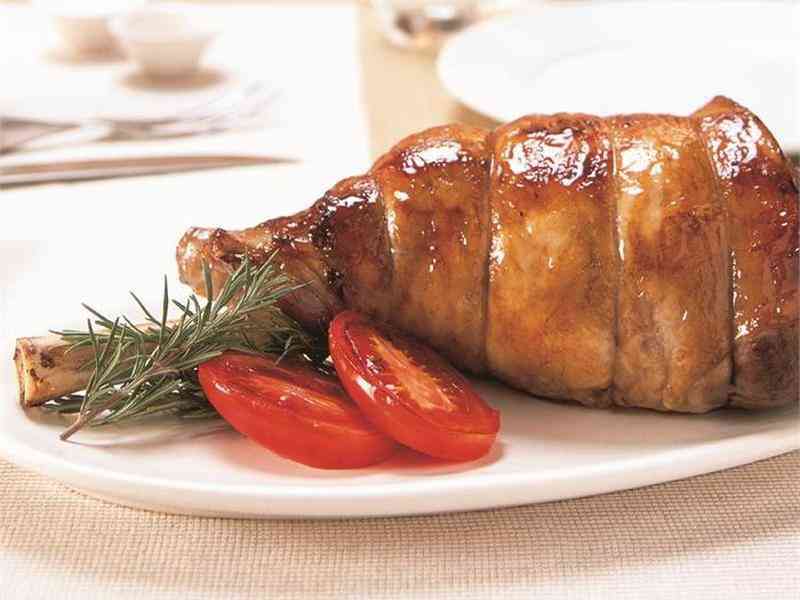 Place lamb into a roasting dish, roast for 1 hour for rare, 1 hour and 15 minutes for medium, or 1½ hours for well done. Remove lamb from oven and rest for 15 minutes before carving. Carefully remove lamb from oven bag, place lamb on a serving plate and pour over any juices. Serve with roasted tomatoes, roasted potatoes and beans.